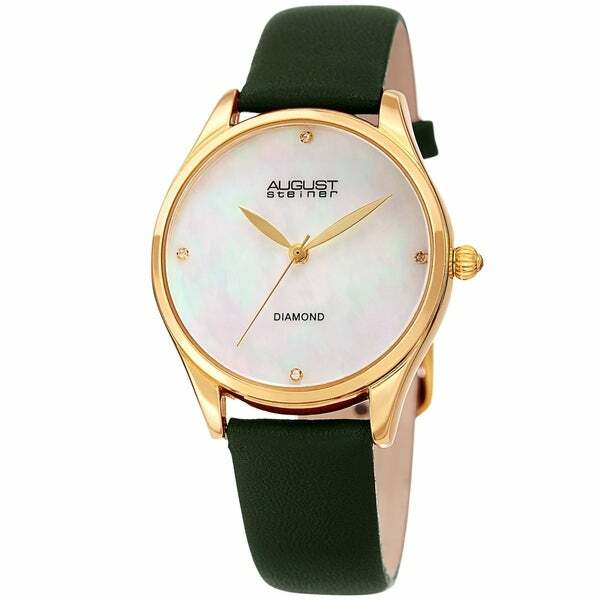 Simple and chic, this women’s watch is presented by August Steiner. The mother of pearl dial is decorated with four genuine diamond markers and leaf style hands. Wear this strap to add a touch of elegance to your outfit!